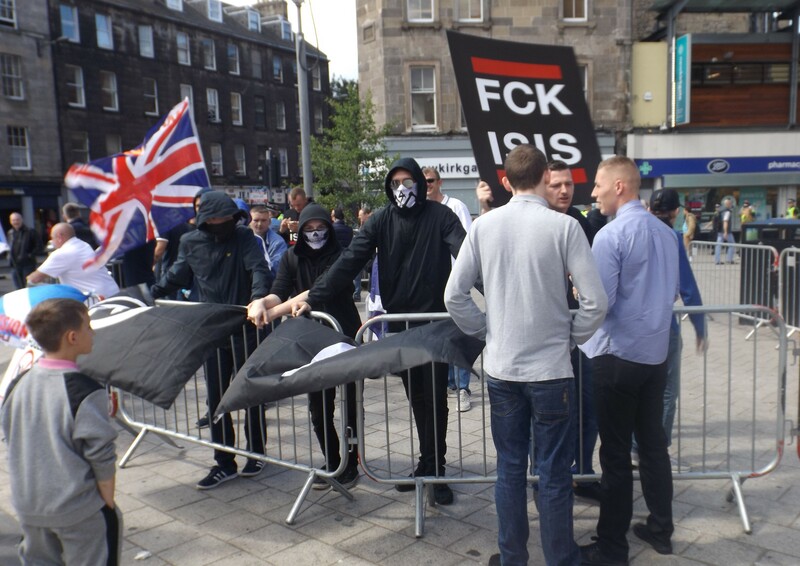 A few weeks ago, stickers from the neo-Nazi youth cult National Action started appearing around the streets of Leith, as they have in Glasgow and elsewhere. 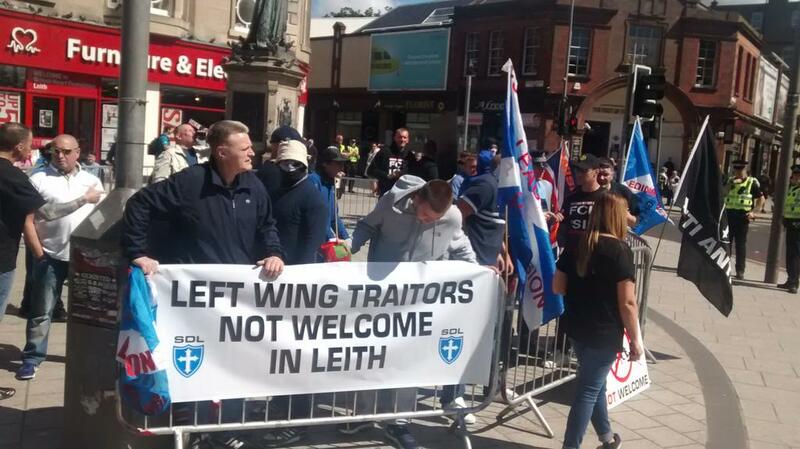 In response, locals came together to organise the United Colours of Leith march earlier today – a show of defiance against the racists from one of Edinburgh’s most multicultural areas. 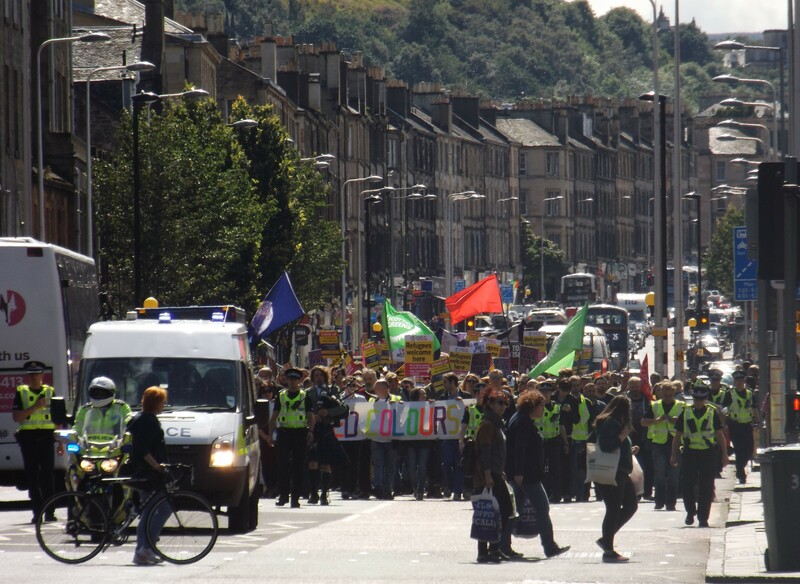 Around one thousand people marched between Pilrig Park and Leith Links, bringing the road to a standstill. 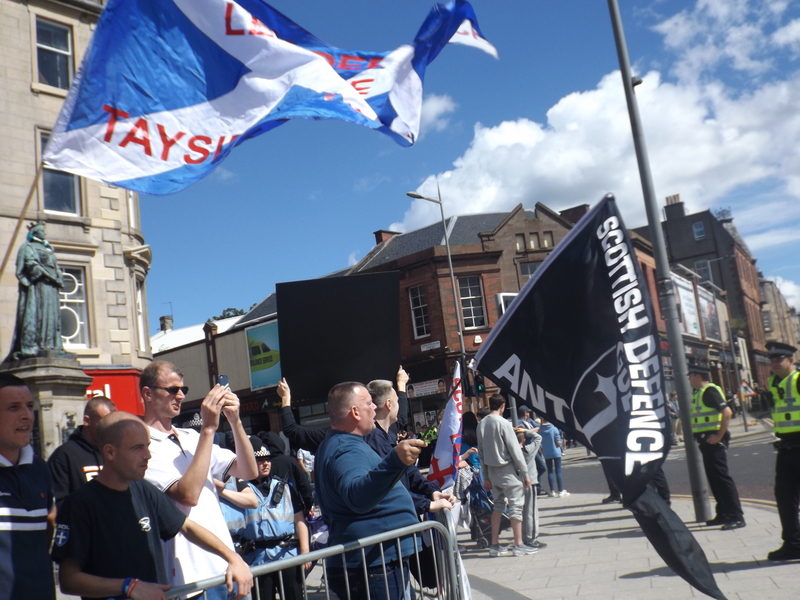 Unfortunately, a small group of fascists were also out in Leith today, with the Scottish Defence League calling on their supporters to oppose the demo. 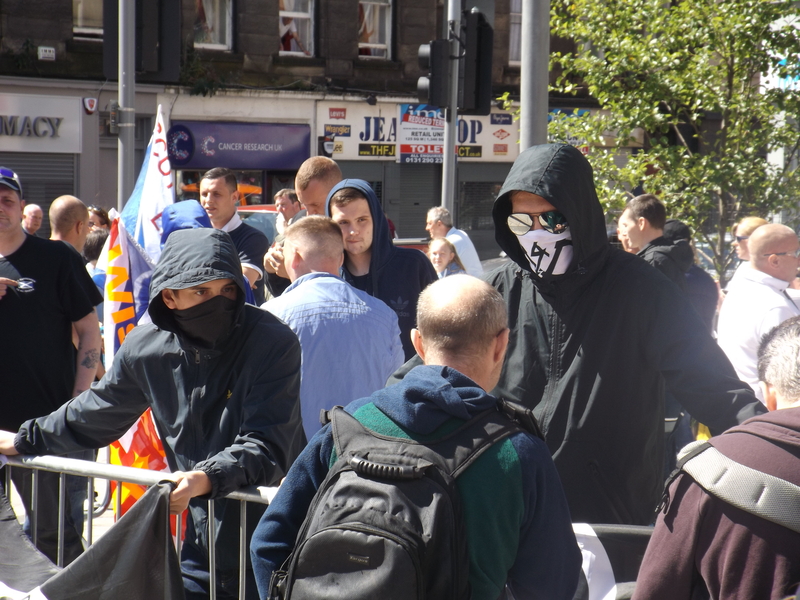 A rabble of 20 fascists gathered in a police pen at the foot of Leith Walk. 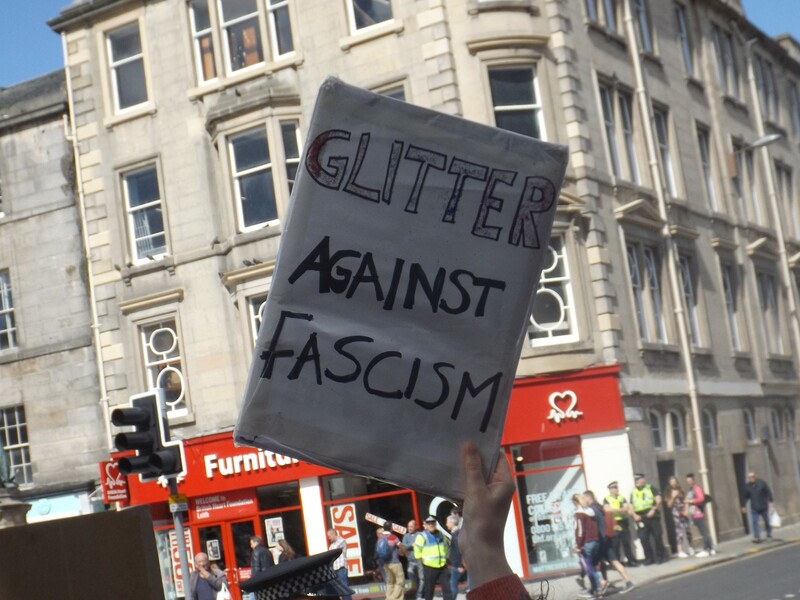 What the SDL didn’t count on though, was Glitter Against Fascism. 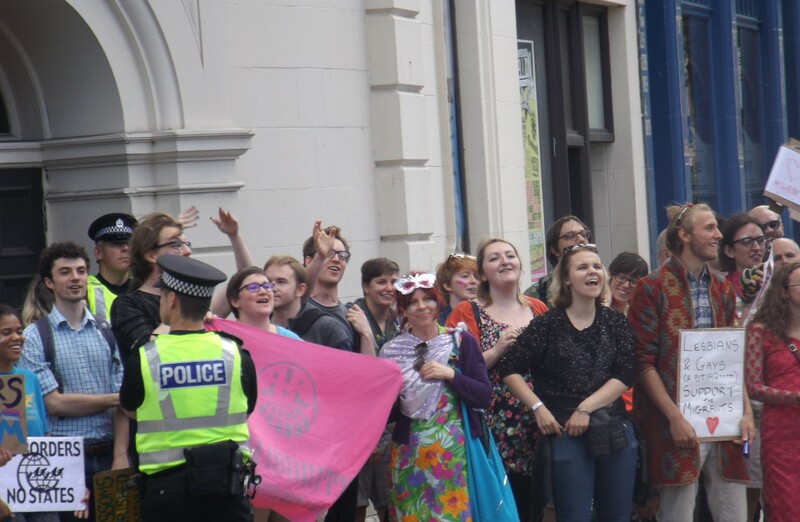 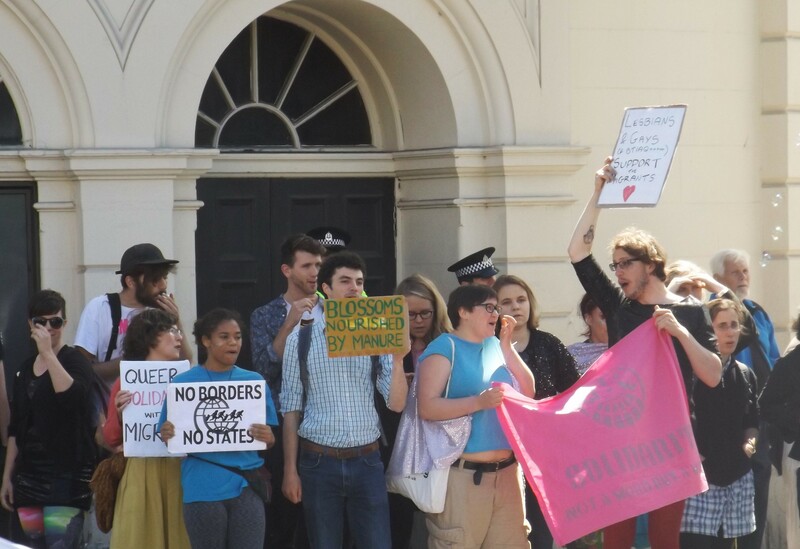 A call-out for an anti-fascist bloc of LGBT+ people and allies wearing “their most glorious and glittery outfits in brave defiance of fascist hate” saw the SDL get increasingly wound up by a constant anti-fascist presence during their 45 minutes or so on Leith Walk. 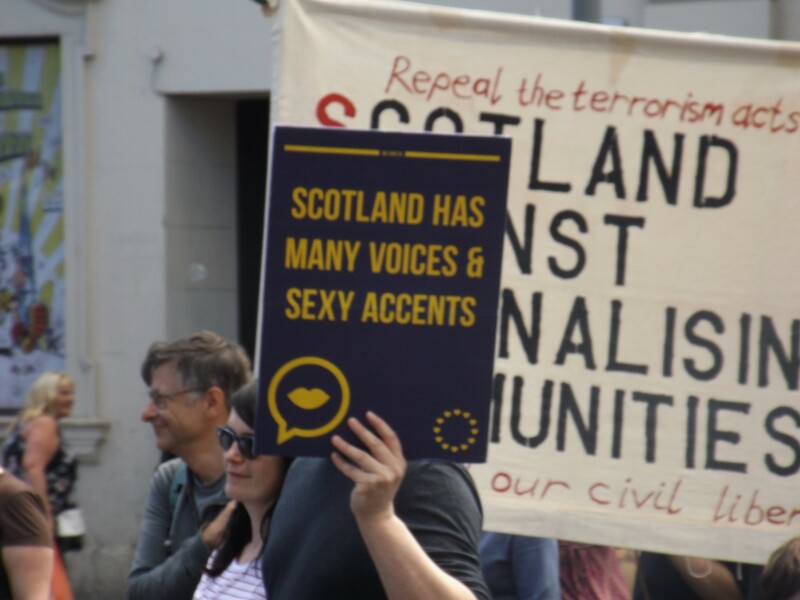 Importantly, the SDL were on the backfoot today, responding to a large community-based initative rather than the other way round. 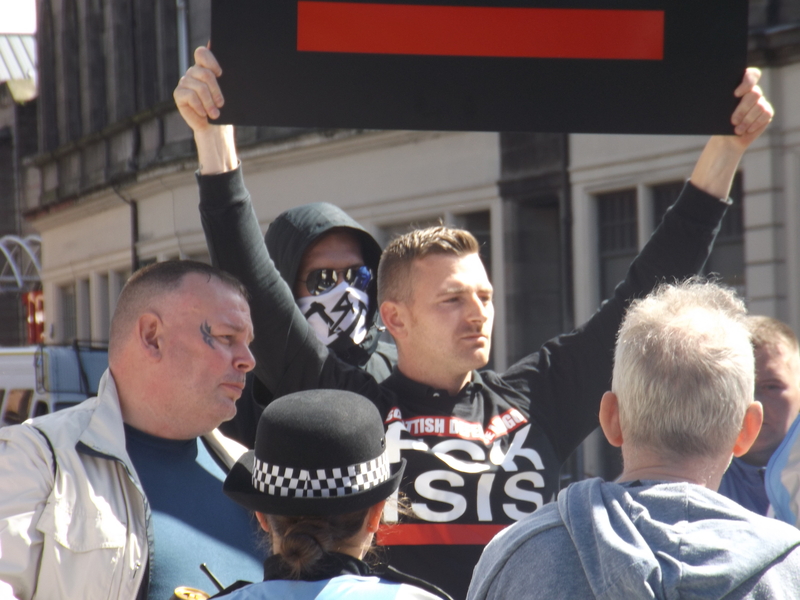 For the fascists, it followed a by now familiar formula in which they work with the police to facilitate a demo for a certain period of time. 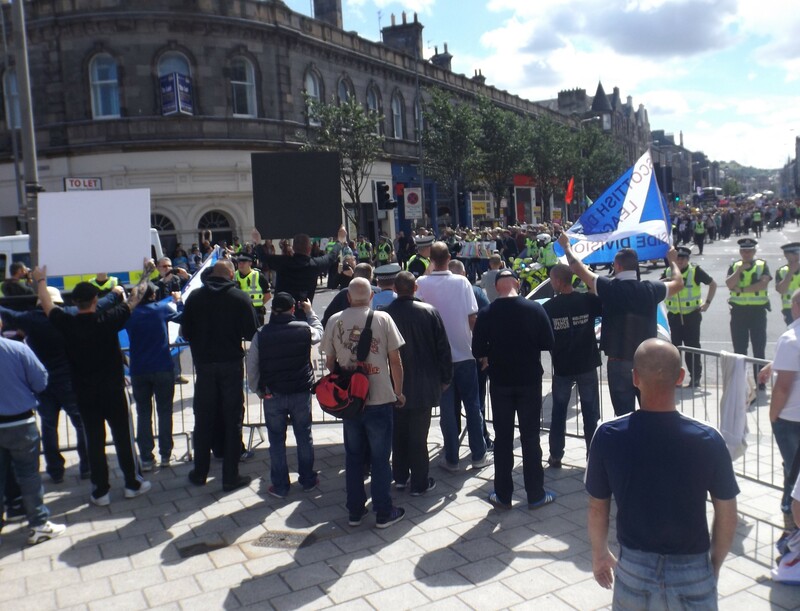 The SDL seem comfortable with this set-up for now – their wee day out in a city centre every couple of months enough to keep their core base of supporters happy. 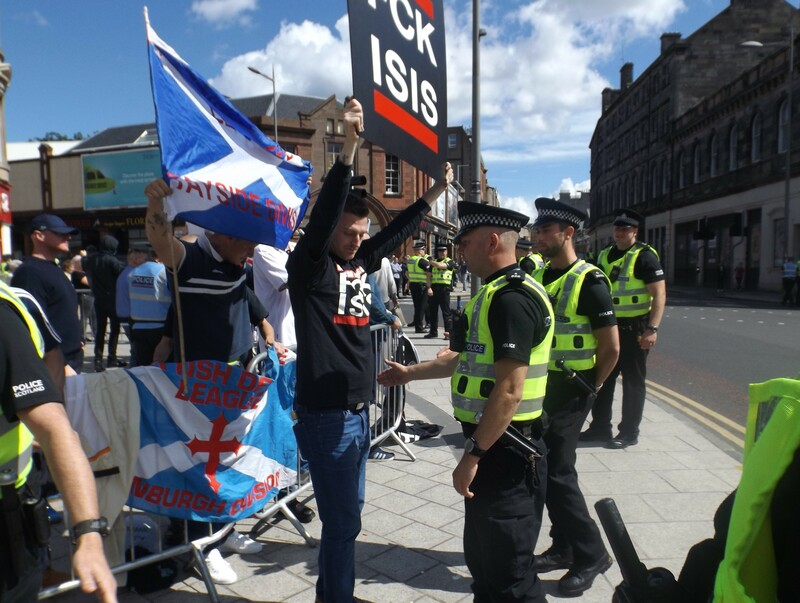 As for National Action, their main guy spent most of the demo mouthing off about the lack of respect for their democratic rights. 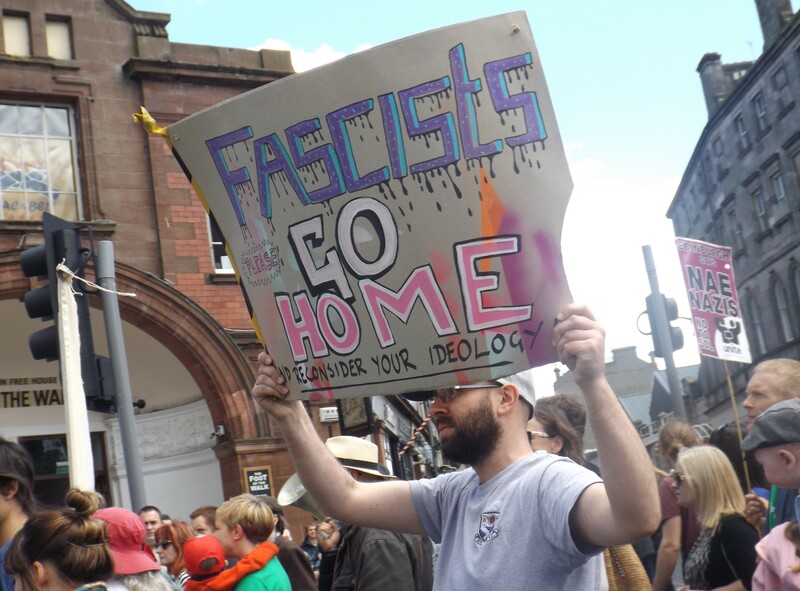 When it was pointed out to him that he is a fascist who doesn’t believe in democracy, he could only agree.